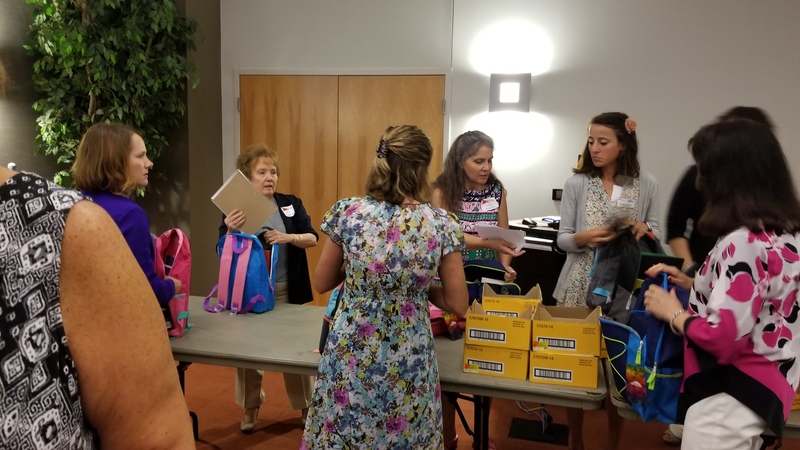 Elizabeth Doolittle, Program Director, is pictured with parents of book bag recipients at the Mount Vernon Municipal Court Probation Dept.. Also shown is Laura and her two children who very excited about receiving their book bags. 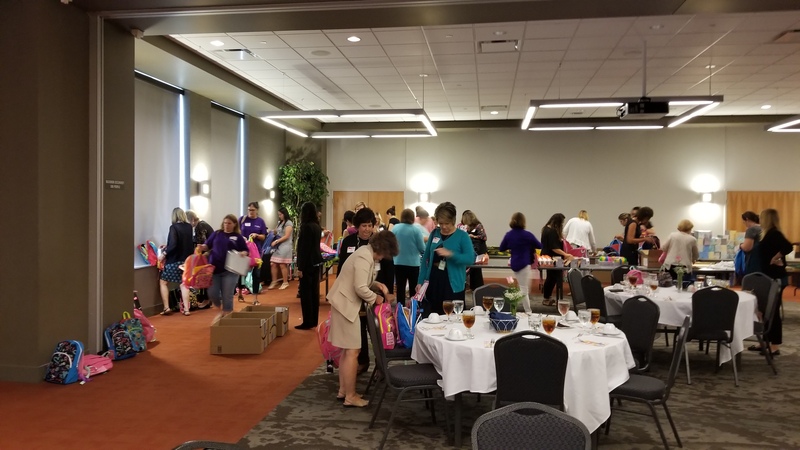 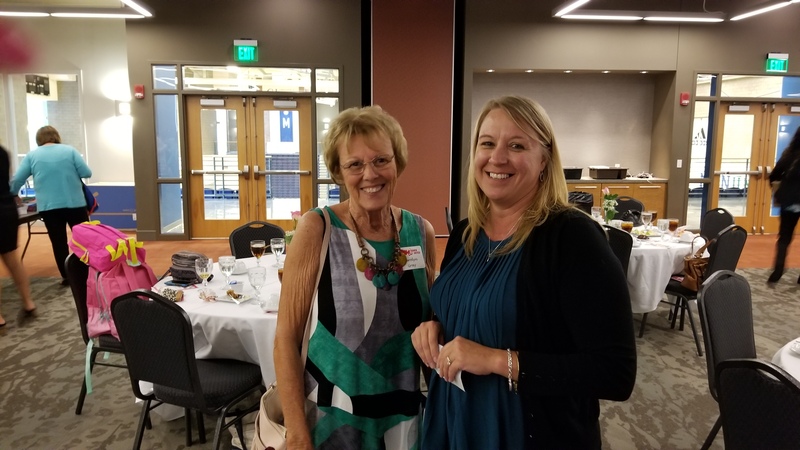 On August 2, members of Women United, an affinity group of the United Way of Knox County, met for lunch in Foster Hall, on the campus of Mount Vernon Nazarene University. 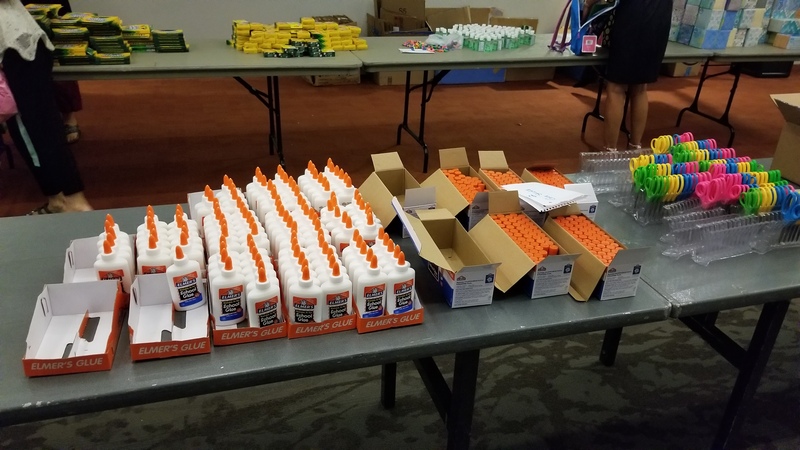 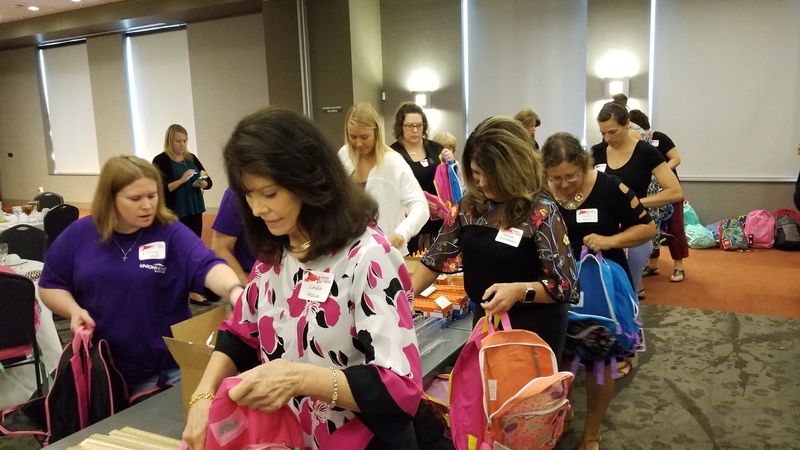 There they celebrated past accomplishments, reviewed the proposed budget allocations and recipients, and ended the meeting by stuffing bookbags with school supplies and taking them to the Salvation Army in Mount Vernon. 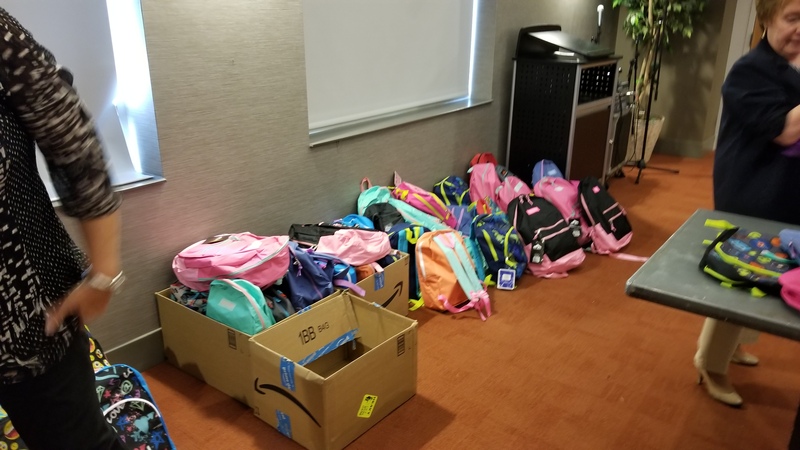 Bags also went to the Mount Vernon Municipal Court's Probation Department, where parents could choose bags to take home to their children. 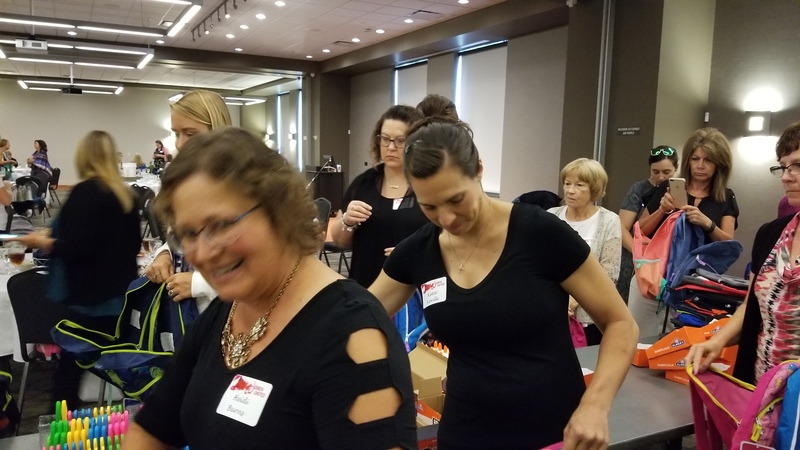 The meeting atendees included 55 Women United members and 6 guests. 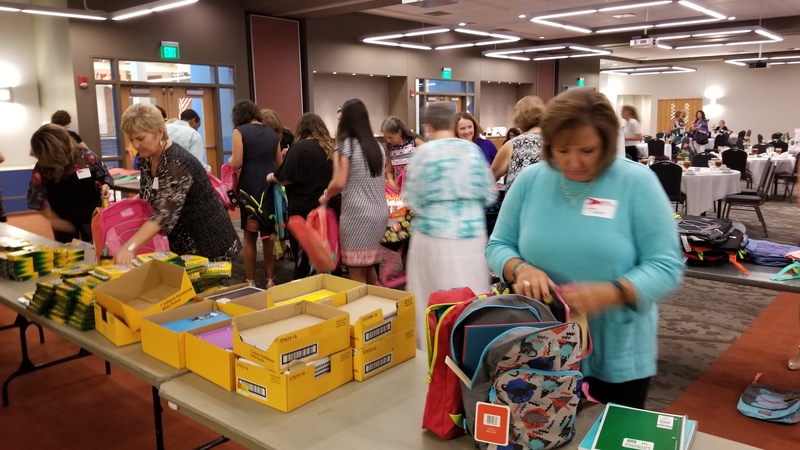 Over 200+ bookbags were filled with school supplies. 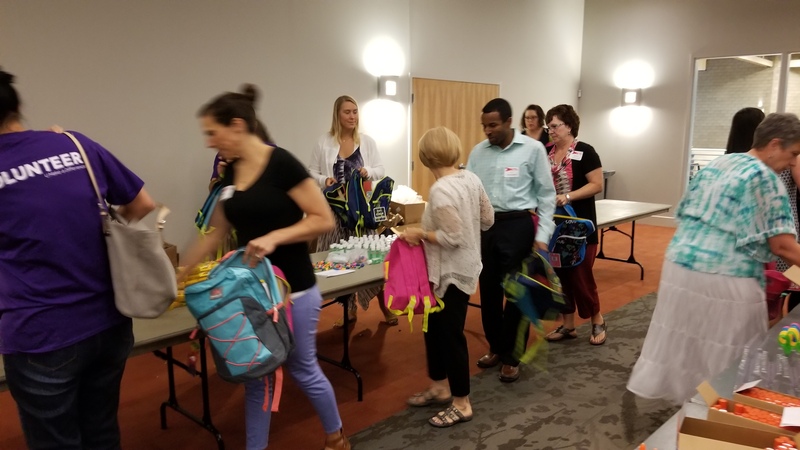 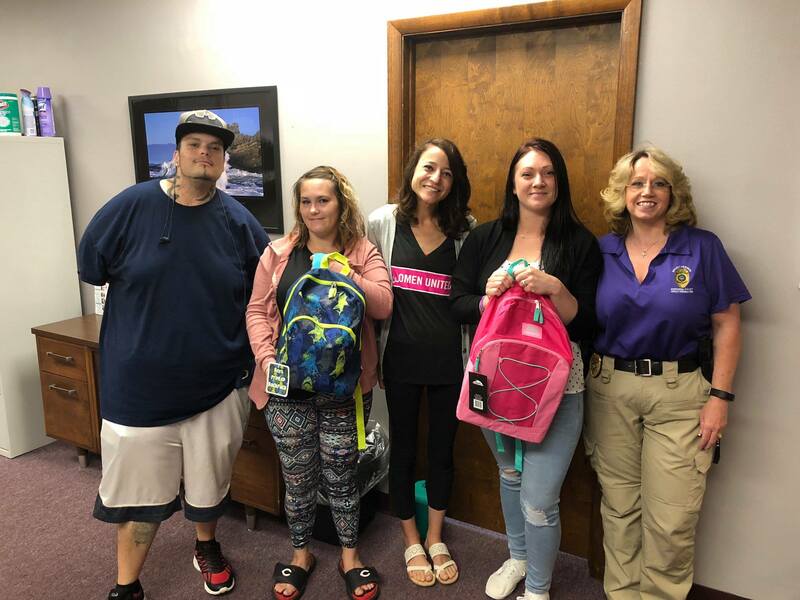 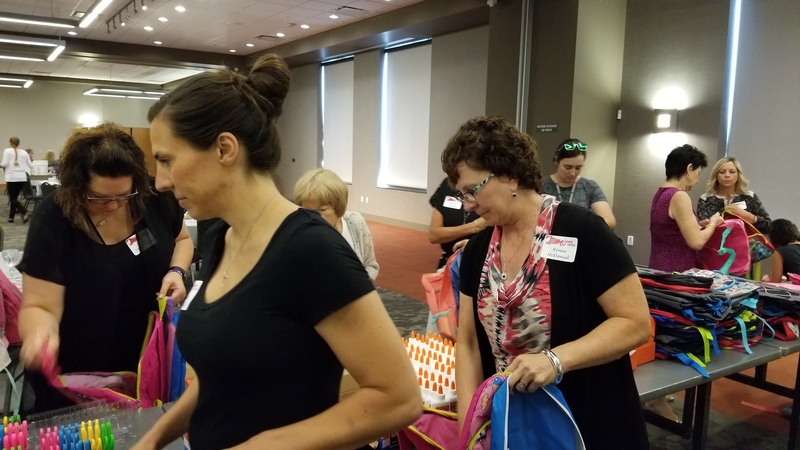 Backpacks were given to program participants at the Moutn Vernon Municipal Court and to eligible children on August 10, at The Salvation Army of Mount Vernon. 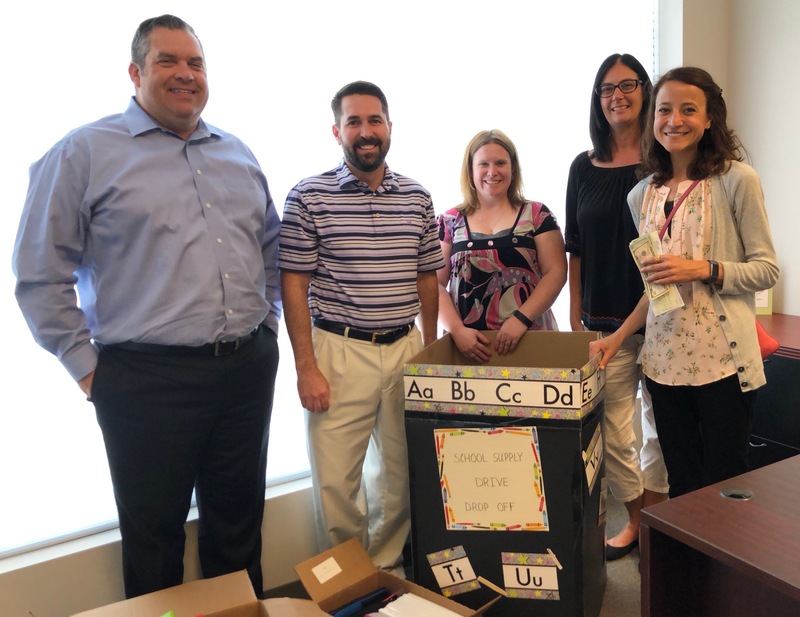 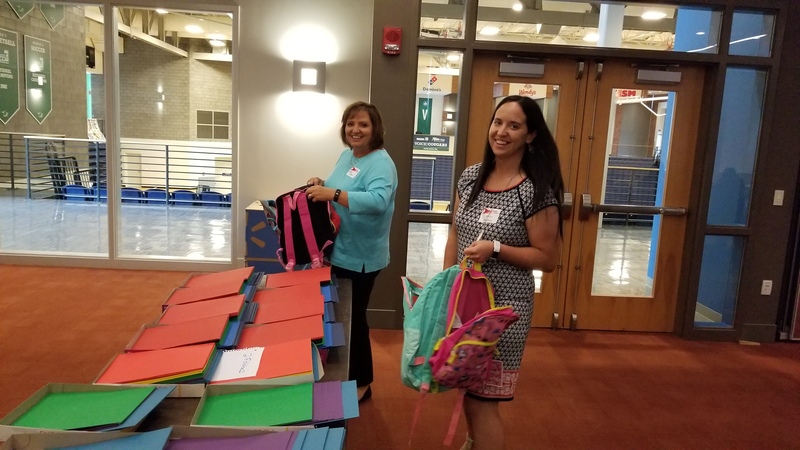 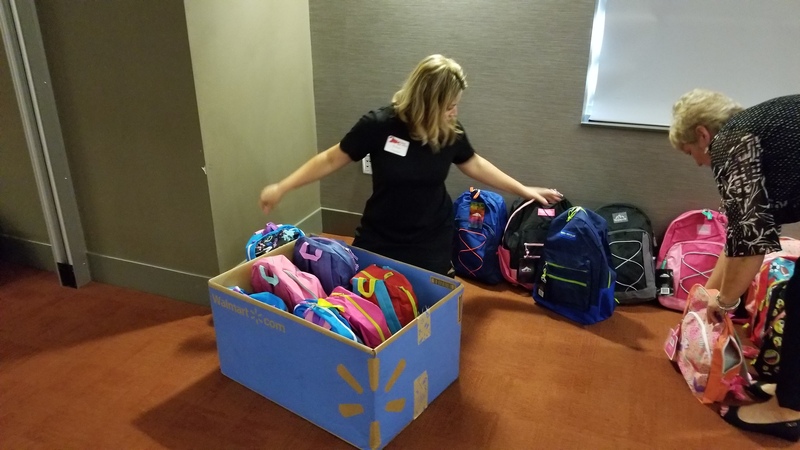 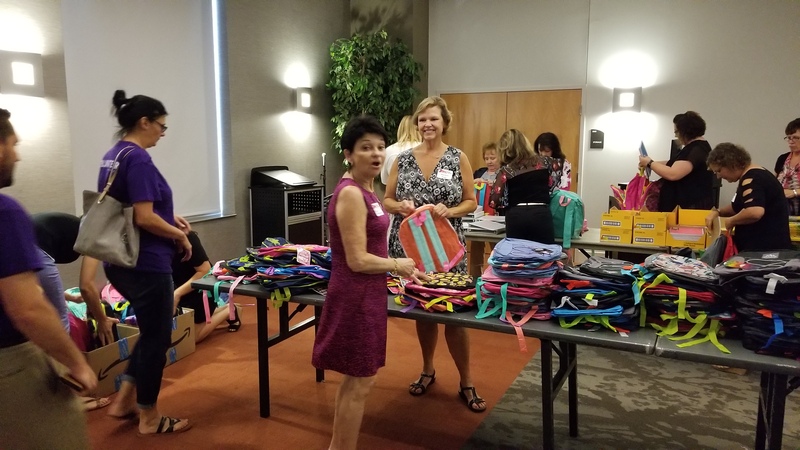 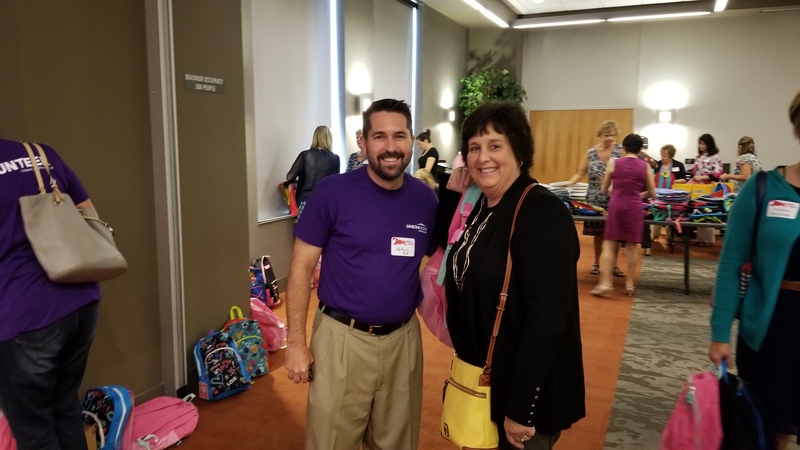 Union Home Mortgage partnered with Women United this year to help collect money and purchase school supplies, donating $1,270.00 and bags of school supplies.